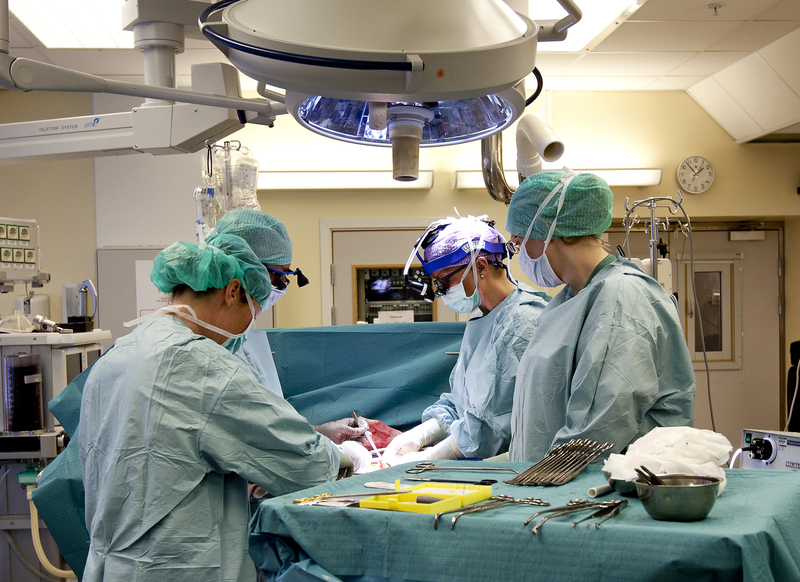 STOCKHOLM -- Swedish surgeons have successfully transplanted wombs donated from relatives into nine women and they will soon try to become pregnant, the doctor in charge of the pioneering project has revealed. Life-saving transplants of organs such as hearts, livers and kidneys have been done for decades and doctors are increasingly transplanting hands, faces and other body parts to improve patients' quality of life. Womb transplants - the first ones intended to be temporary, just to allow childbearing - push that frontier even farther and raise some new concerns. There have been two previous attempts to transplant a womb -- in Turkey and Saudi Arabia -- but both failed to produce babies. Scientists in Britain, Hungary and elsewhere are also planning similar operations but the efforts in Sweden are the most advanced. "This is a new kind of surgery," Dr. Mats Brannstrom, chair of the obstetrics and gynecology department at the University of Gothenburg, told The Associated Press in an interview from Goteborg. "We have no textbook to look at." Brannstrom, is leading the initiative. Next month, he and colleagues will run the first-ever workshop on how to perform womb transplants and they plan to publish a scientific report on their efforts soon. None of the women who donated or received wombs have been identified. The transplants began in September 2012 and the donors include mothers and other relatives of the recipients. The team had initially planned to do 10 transplants, but one woman couldn't proceed due to medical reasons, university spokesman Krister Svahn said. The transplants have ignited hope among women unable to have children because they lost a uterus to cancer or were born without one. About one in 4,500 girls are born with a syndrome, known as MRKH, where they don't have a womb. He said a womb transplant was like a radical hysterectomy but it requires taking a bigger chunk of the surrounding blood vessels to ensure adequate blood flow, raising the risk of complications for the donor. Smith said British officials don't consider it ethical to let donors take such chances for an operation that isn't considered life-saving. Last May, doctors announced Turkish woman Derya Sert lost her pregnancy at eight weeks after doctors could not find a fetal heartbeat. Sert had undergone a uterus transplant in 2011, and she became pregnant after doctors placed an embryo into her womb, using one of her own eggs. At the time, the hospital said she would begin fertility treatments to try again.